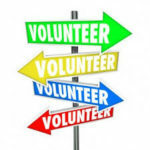 Are you looking for something extra to occupy some free time, meet new people or just simply give back to your community? Well look no further, we can always find something for you to do and you will have a great time doing it! Court-ordered service is assigned to individuals by the judicial system to engage them in positive service activities for the community where they live. It may be assigned in lieu of paying a fine or at a judge’s discretion. If you have been ordered by the court to complete community service hours, please contact us, we can help you fulfill your hours. For all community service opportunities, please click on the links below for a printable application, and you may also call our Community Outreach Coordinator, Diana at 269-345-8556 x122.